The complete racing rules resource for competitors, judges and other race officials. The better you understand the rules, the bigger your tactical advantage. RRS.org is an indispensable resource for sailors as well as judges and other racing officials. RRS.org clearly and concisely indexes the racing rules with extensive references to cases, calls and national appeals. The 2017 - 2020 rules are published and are here, with the new definitions and links to cases. RRS.org also allows you to compare the new rule to the old rule to see exactly what changed. Check out the hearing schedule or protest decisions for recent regattas using the RRS.org Jury Management system. Or file a protest for a particular event. 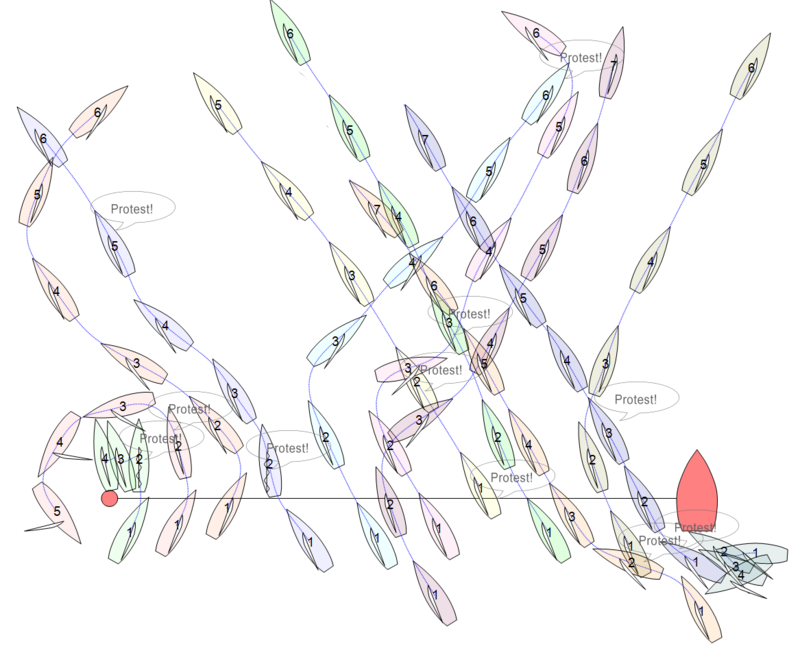 RRS.org has the complete rules for match and team racing, red-lined against fleet rules so you can quickly see the difference. The calls and Q&A's are referenced right in the rules. Race Officials can manage documents, scoring inquiries, equipment substitutions, jury tasks, hearing schedule and protest decisions for their event. Competitor's can file inquiries or protests electronically which are automatically sent to the appropriate official.